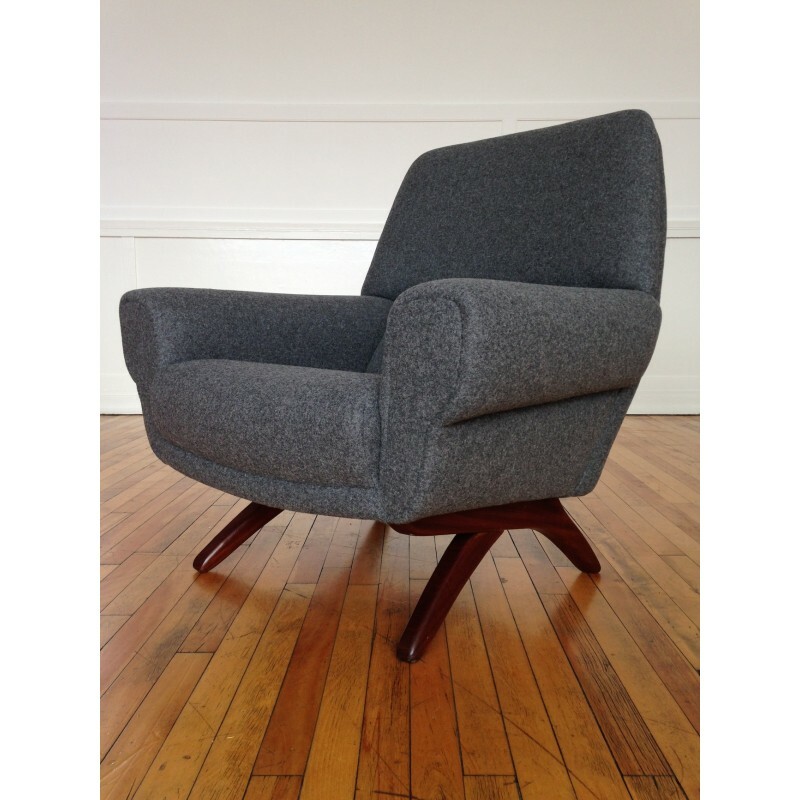 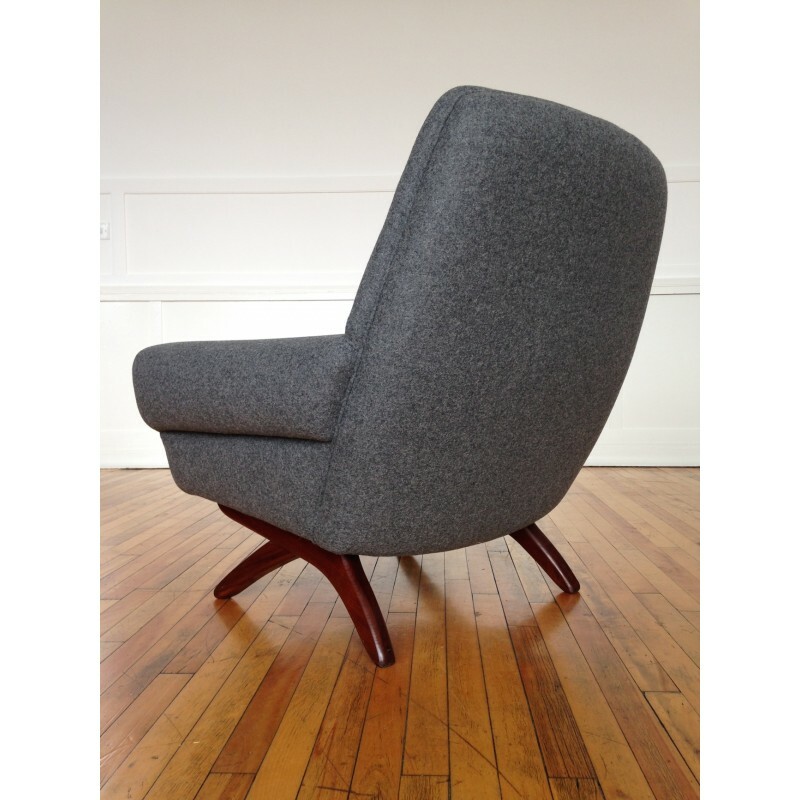 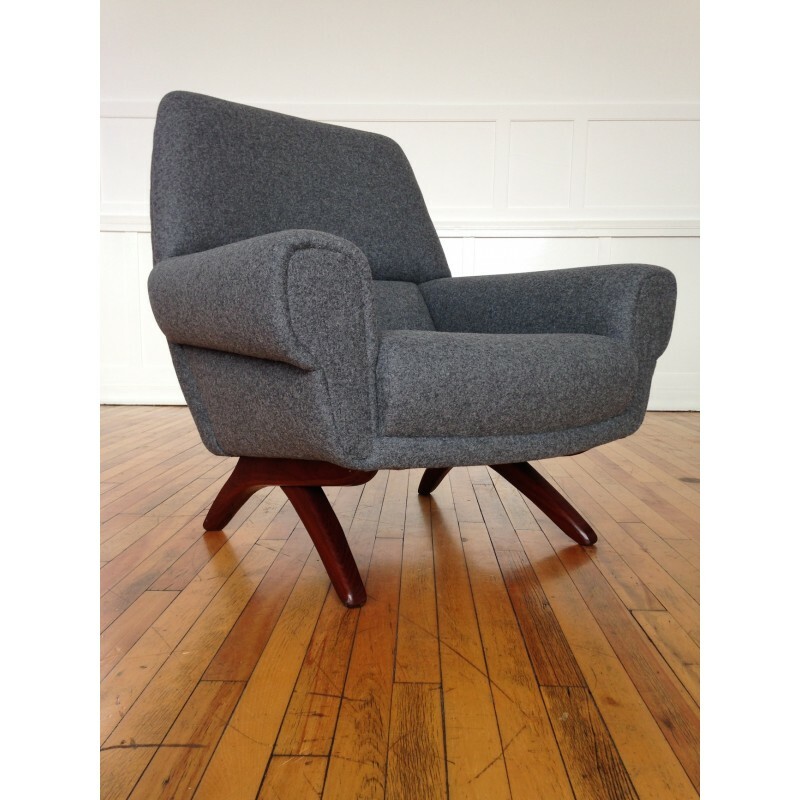 A rare 1960's Danish upholstered armchair, attributed to Leif Hansen, but having similarities to some designs by Illum Wikkelso too. 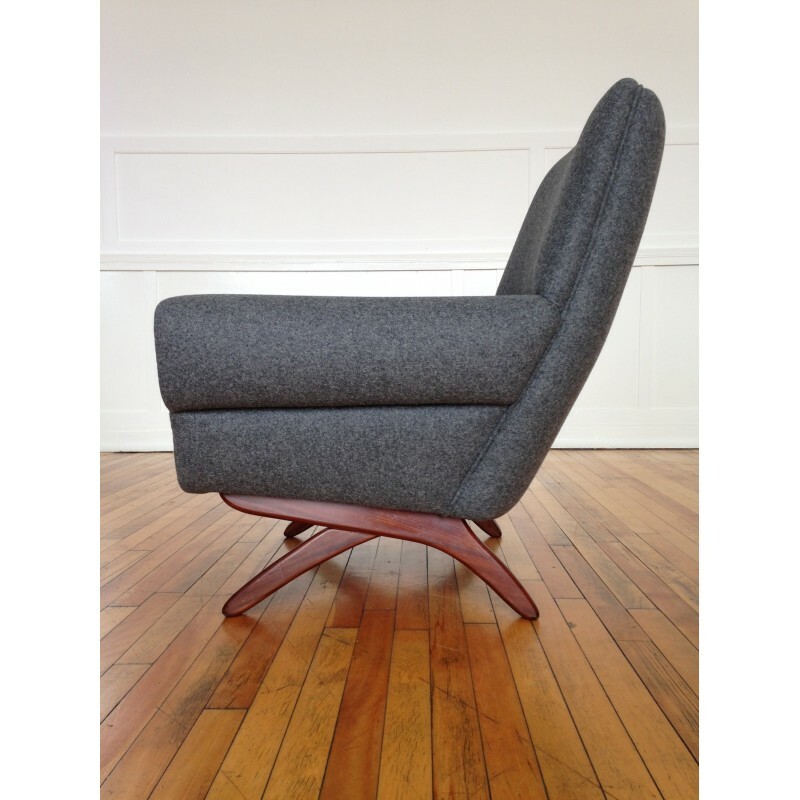 The chair has been fully and expertly reupholstered from scratch as per the original upholstery design. 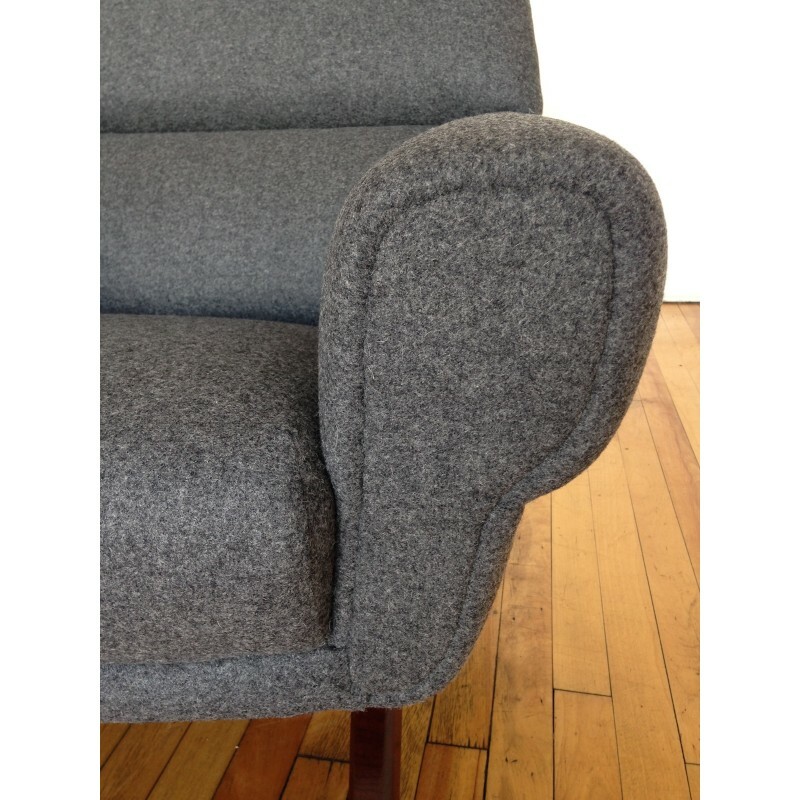 As with all our restored items, only the highest quality materials have been used. 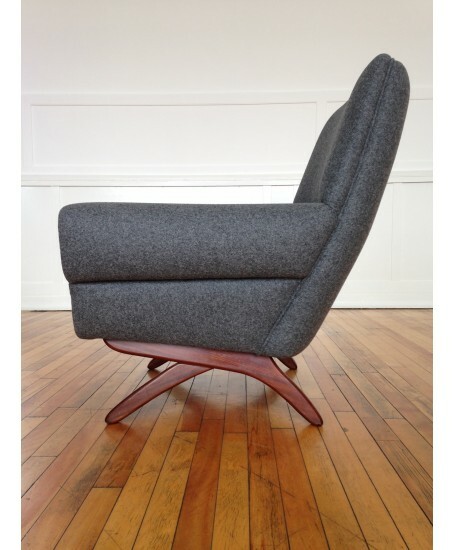 Please do take note of the dimensions provided below as this is a very large chair that will have great presence in any space. 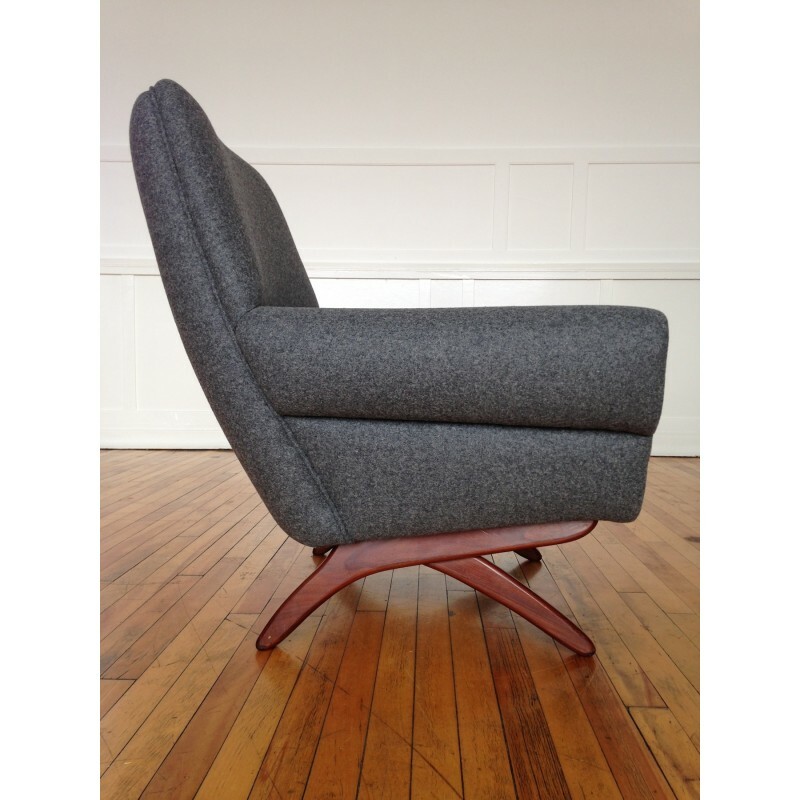 As well as being a beautiful design, it is also exceptionally well made, and therefore extremely heavy. 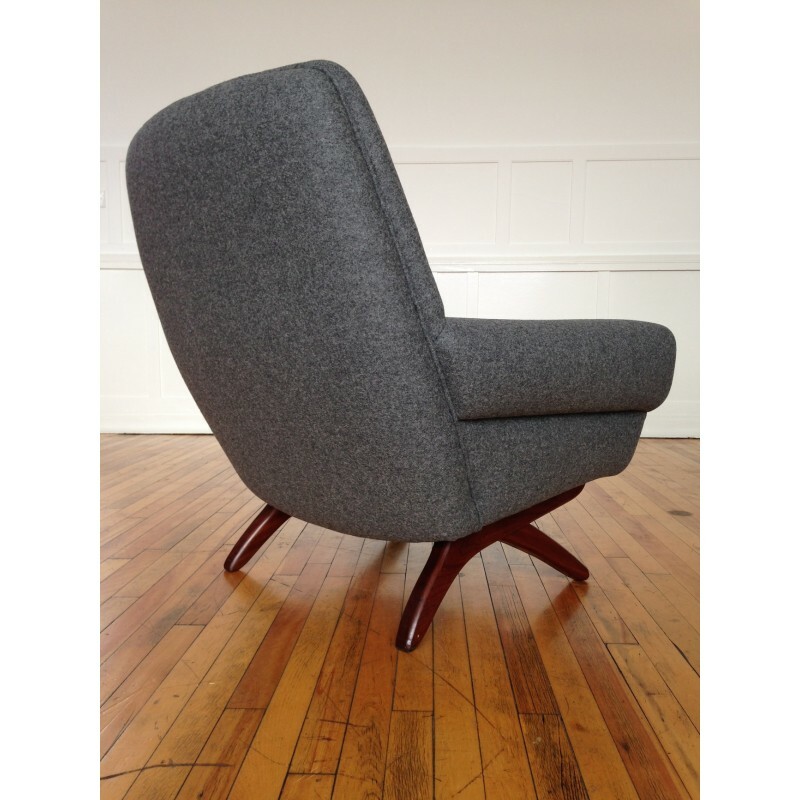 It has a sprung seat and lumbar support, which in our opinion also help to make this possibly the most comfortable chair we've ever had the pleasure to sit in! 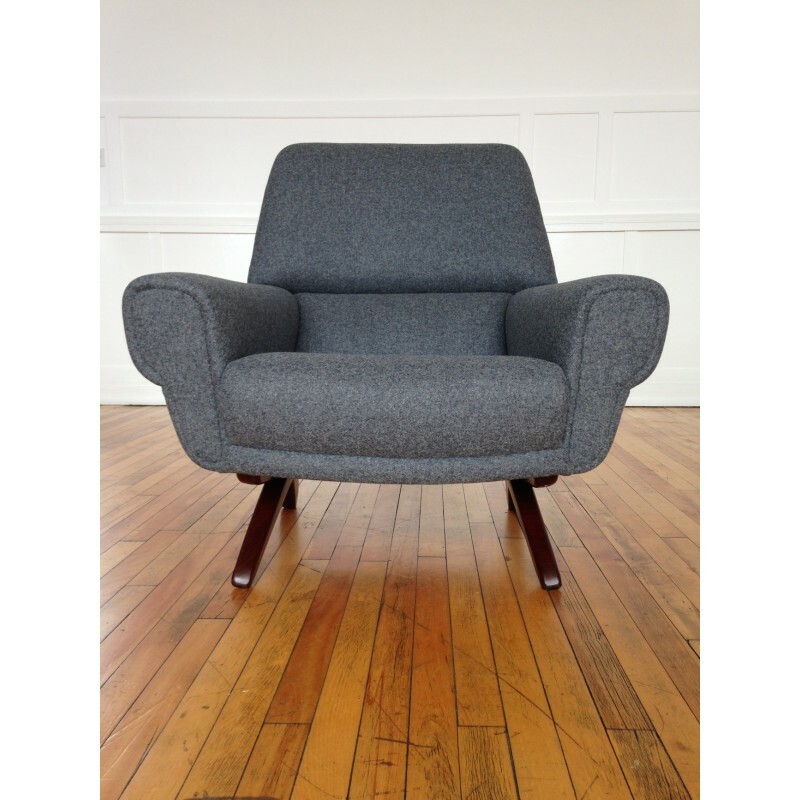 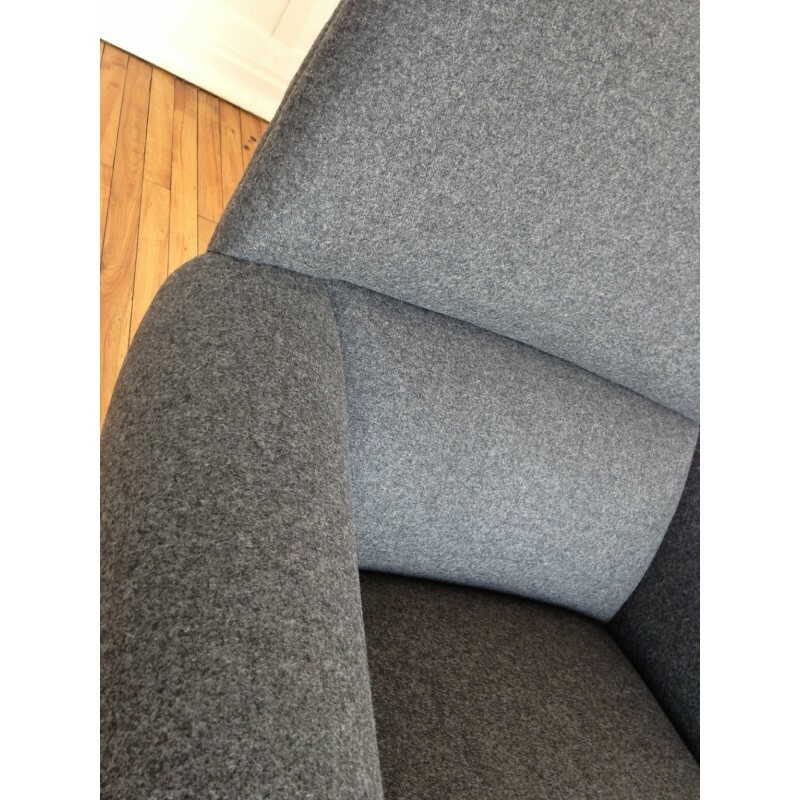 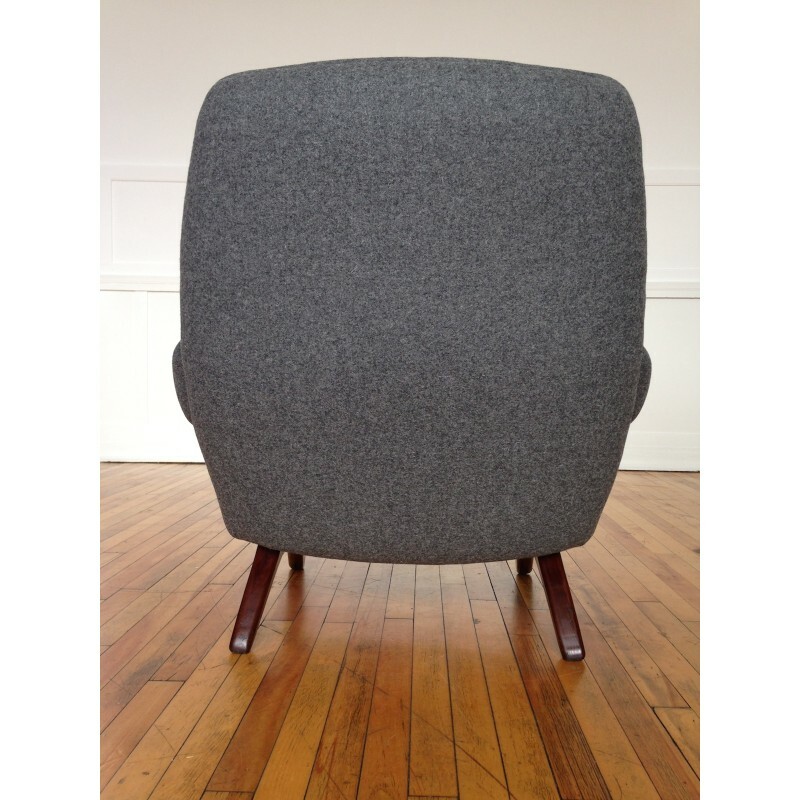 We opted for a grey felted wool from Abraham Moon & Son's which we think is a perfect match for the chair. 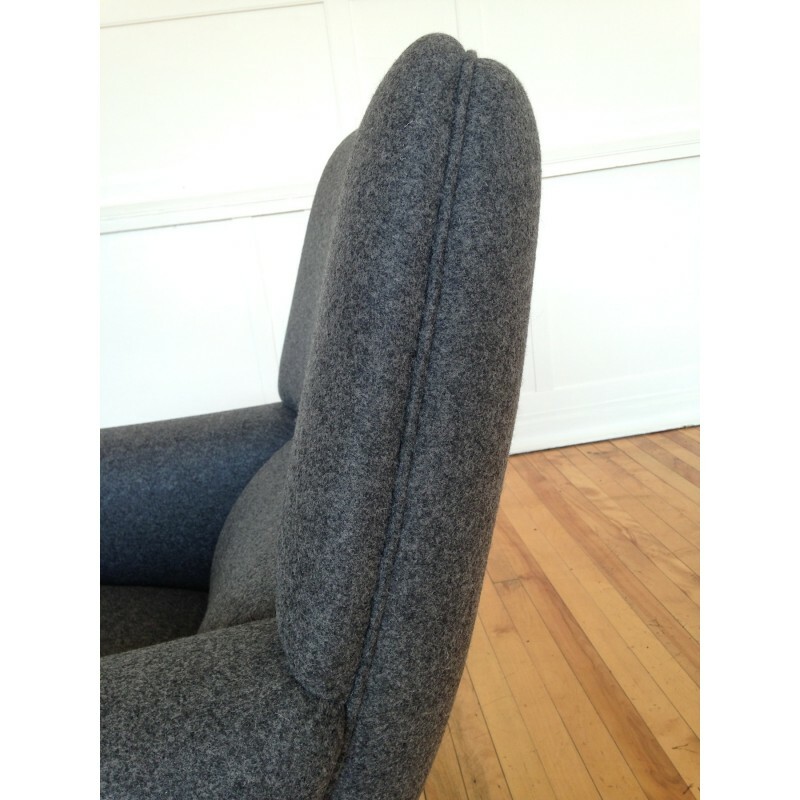 It was difficult to catch the exact colour in some of the photos, so if the shade of grey is important, please request a sample of the fabric which we will provide with pleasure. 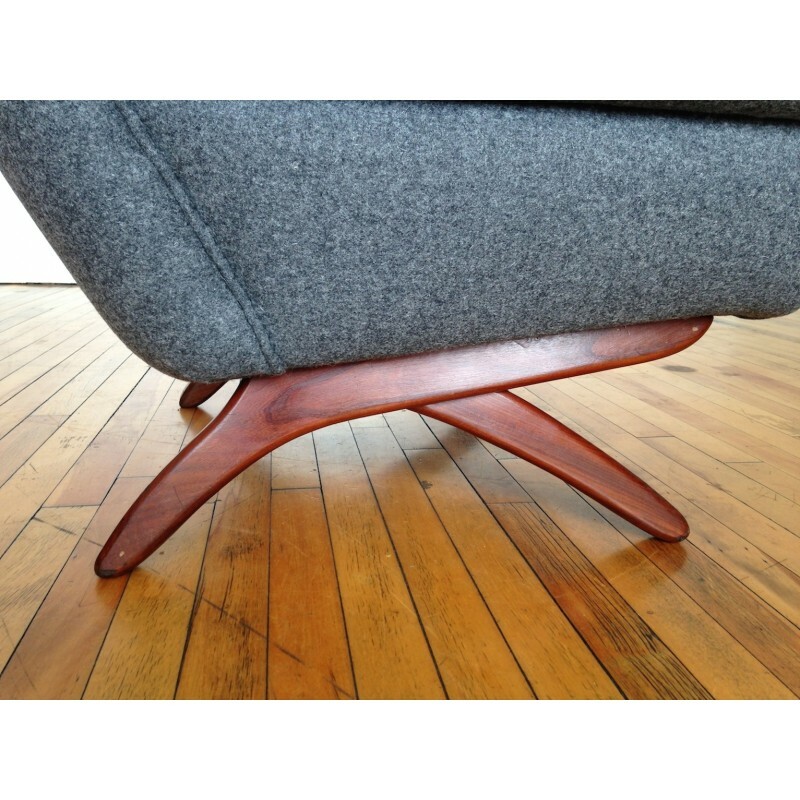 We have cleaned and nourished the teak crossed leg base to reveal it’s natural beauty, and the condition is excellent as can be seen in the photos.